cheery and upbeat The rapper says she would rather not be boxed into a genre . She effortlessly represents both her Shangaan culture and the edginess of the new school. Phumlani S Langa caught up with her this week at her Joburg home. 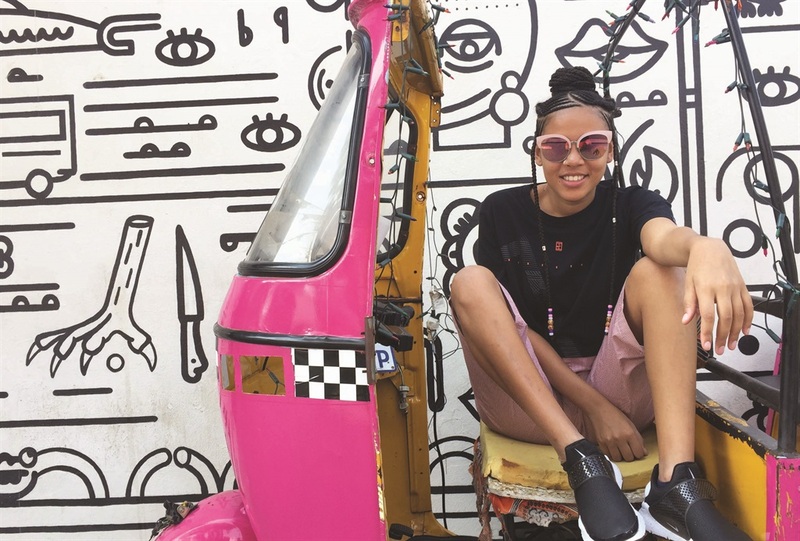 Maya Wegerif – or, as the streets know her, Sho Madjozi – likes to wear her Xibelani skirt with Air Max sneakers. 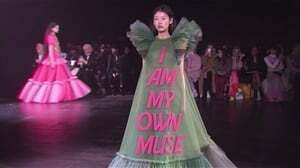 “If not mine then whose culture must I wear?” she rightfully asks. Hailing from Shirley in Limpopo, the 24-year-old writer, musician, actress and fashion icon now resides in the west side of Joburg, but stays deeply rooted to Shangaan culture, choosing to rap in Xitsonga. If you follow this young queen on the Gram, you will immediately notice her swank. Homegirl got mad style in which her heritage is infused. 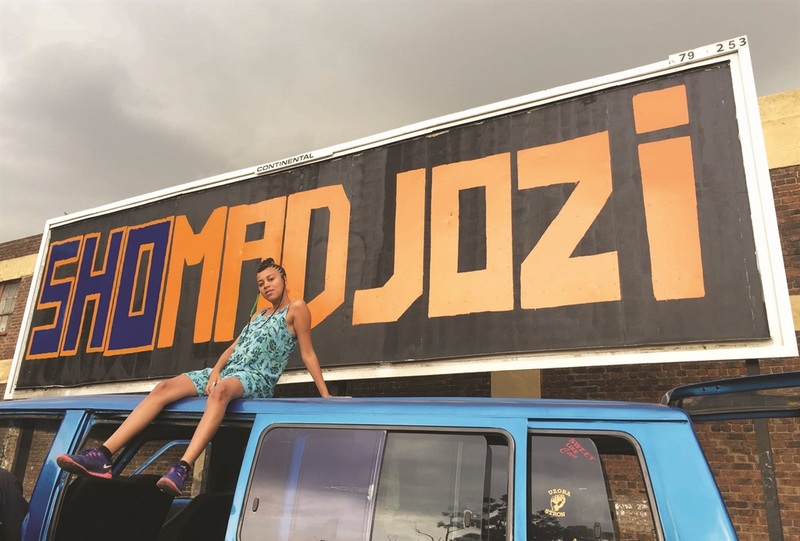 Sho Madjozi is well-travelled, having lived in Tanzania, the US and Pretoria. She can speak Swahili among other languages; she even let on that she might drop a track or two in that language. A laid-back rebel, rocking sweats and regal braids with white beads tied to the end, this young spitter invited me into her studio apartment where we had a chat while she had breakfast and her photographer boyfriend did some household chores. I say studio apartment in a literal sense – a section of their apartment is fully equipped for a professional photo shoot. This vibrant and soulful sister has written a biographical book that she hasn’t dropped as it is “just too intimate” and has a background in writing poetry. She currently works with a writing fellowship at the University of Johannesburg’s Institute of Advanced Studies, having read African studies and creative writing in Massachusetts in the US. Which means, all in all, Sho Madjozi is rather dangerous with the pen. That helps with writing songs. Her sound is cheery and upbeat, and she has a sharp set of darts on her at all times. She’s starting to get a whole lot of attention online, but she’s really just trying to have fun. “There’s nobody that raps like this. That’s simply because no one raps in Xitsonga. Some try, but they get trapped into trying to mimic an isiZulu style of rap. My sound is me trying to be true to the Xitsonga language. She’s frank, in one track, that she wants to be left alone to drink and have fun. She has already worked with PH Fat, DJ Maphorisa, a Ghanaian artist called OneLove and a Gqom collective called PS DJz, whom she hopes to have as a part of her act at the Genesis All Black party this weekend. “There have been other people showing interest in working with me. I really want to work with Nozinja, a famous pioneer of Shangaan electro. I think it would be fun to do something with Penny Penny. I really love Tekno from Nigeria and Shatta Wale from Ghana and several Tanzanian artists such as Diamond Platnumz. She is a rebel at heart and absolutely hates the idea of music having to sound a certain way. Taking different sounds and creating a new one while pushing the lyrical envelope are big factors in her sound, which is relentlessly African and mad vibey. On a whim, she plays a little bit of the track she was planning on dropping just after our chat. Just watching her move in her apartment and sing along is hella entertaining. I can only imagine what her actual show looks like. She doesn’t mind her sound sparking controversy, as long as people are engaging with it. Sho Madjozi recently landed an acting role on the new Mzansi Magic show Isithembiso, which she still can’t believe happened. “When Bomb Shelter called me and asked if I acted, I was, like, not really, but they said come in anyway and now I’m on a show.” For someone who drew inspiration for her name from Vivian Majozi on the old Generations, this move is rather fitting. She will appear alongside some established names on the local acting scene like Hamilton Dlamini and Meshack Mavuso Magabane, but she hardly seemed phased. She did a bit of drama at school. “I’m not in control of this. You get a script, three directors, a make-up team. With my music it’s on me. I come in and say, ‘This is how I want to sound today’ and that’s what happens. Download her music via her social media account.